HomeMarketing HOW TO DRIVE TRAFFIC TO YOUR NEWLY WEBSITE? 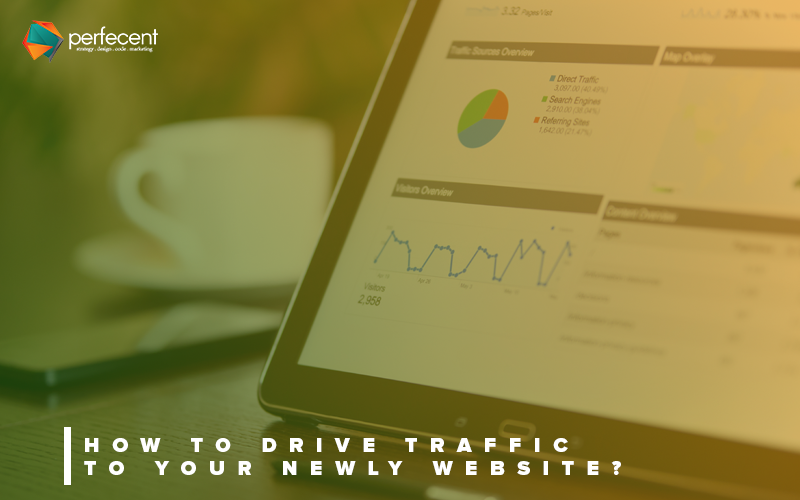 If you have created a website for your business, then it is a time to drive traffic to it. Lack of website traffic is the main reason behind the failure of your site to rank or convert. Nowadays, a keyword is like a king, if used wisely can benefit you more than your thinking. For generating keywords relevant to the business start with thinking like a customer. Pick the right number of keywords that relate to the persona of your website and reach more customers. For the respective purpose, you can use any suitable freemium tools like LSI keyword generator, Komarketing, long tail generator, and Ahrefs. Guessing the keyword can be dangerous. It is essential to research each keyword thoroughly. Your website users are prior and knowing their preferences, wants, and niche you can offer them what they want. Consider these questions: what information do users need and want in a website, what they value, and what emotional responses do users expect. Make sure your site is incorporating all these things in it. Affiliate marketing is a kind of advertising model through which you can drive extra traffic to your website by promoting others’ products. Choose a niche, research affiliate programs, build a site, produce excellent content, build an audience, and promote affiliate offers. People like free things. If your website has a user-friendly interface and provide free things, then it will make more customers. Website offers may include eBooks of all topics, webinars, infographics, checklists, and other content items. Once you have created offers, then you’ve to promote them online. CTA buttons are used to guide users to take immediate actions or response on the website. CTA buttons help you drive more traffic to the site if they’re compelling, clear, concise, action-oriented and create a sense of urgency. They should be impossible to miss and easy to find on your website. It is better to run testing to know which CTA button is more productive in generating high leads. So, these are some of the many ways to drive traffic to website.